A London-based jeweller has created a novel, diamond-clad timepiece that transforms effortlessly into £27 million ring. 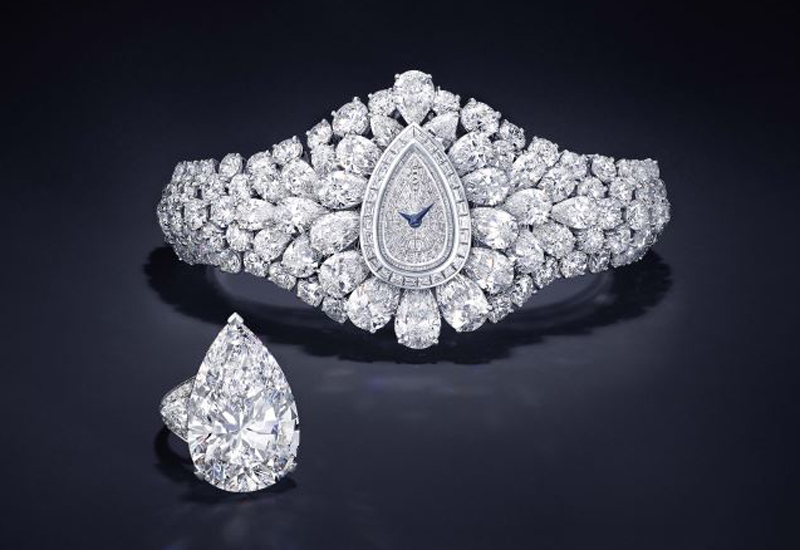 Called The Fascination, the unique piece features 152.96 carats of white diamonds and a 38.13-carat pear-shaped diamond that can be worn as the centrepiece of the watch bracelet – but can also be detached and worn as a ring. Furthermore, a specially-created diamond watch face can also be inserted into the watch bracelet. The ring/watch, made by Graff, of London’s New Bond Street, has been unveiled at the biggest annual watch trade show in Basel, Switzerland. “We are inspired by the rarest and most precious diamonds - their influence is evident throughout everything we do,” said Laurence Graff, founder and chairman of Graff Diamonds. The Fascination will be on show at the Basel World watch fair in Switzerland, which begins tomorrow.